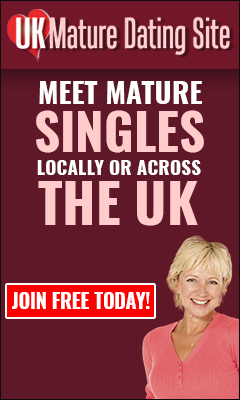 Date Local Mature Singles in your aread today! We are doing a special offer on our website over the weekend, from today the 30th of September. If you register, and upgrade your account to full membership, you will only pay 50% of our full membership price! To take advantage of this offer, you just need to sign up here free of charge: http://premium.ukmaturedatingsite.com/signup.cfm . On you are a registered member, you can browse profile of mature singles over the age of 40 in your area or around the UK. But to enjoy the full membership benefits of UK Mature Dating Site, you have to upgrade. Upgrade allows you even more access including chat, messaging, diary, introduction and much more! Then apply this code: TASTY 50 , and you will be upgraded for half the price! Being a dating site that specialise in bringing older people together for dating, friendship, companionship etc, it is natural that we highlight the United Nation’s International Day of Older Persons (UNIDOP) which is Saturday, 1st of October. The 2016 United Nations International Day of Older Persons (UNIDOP) will take a stand against ageism by drawing attention to and challenging negative stereotypes and misconceptions about older persons and ageing.